The beauty industry can give untold pleasure to clients and employees alike, and there’s nothing better than seeing your customer’s reaction to a stunning new hairstyle or beauty treatment. 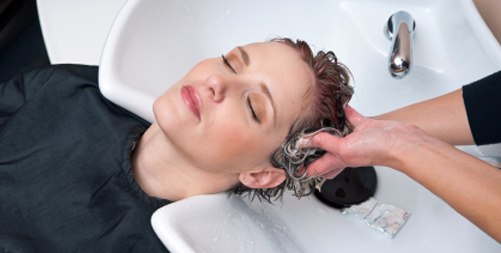 But, whether you’re a salon owner or a self-employed hairdresser, you need to be aware of the financial risks involved. We’re living in an increasingly claim-happy society and any claims made against you successful or otherwise, can wreak havoc on your finances, so investing in salon insurance should be at the top of the agenda. This type of insurance offers protection that can be tailored to the unique requirements of your business, ensuring you’re properly prepared for anything that could happen. When your finances are on the line you don’t want to leave anything to chance, and with the beauty salon industry being inherently risky you need to make sure you’re totally covered – anything from allergic reactions to failing equipment needs to be properly accounted for, ensuring you don’t lose out should the worst happen. A beauty or nail salon owner will need to think about buildings cover if they own the premises, for example, while a freelance hairdresser will simply need to be concerned with their own products and liability issues. Of course, the level of cover that you need will depend on your individual circumstances. A beauty or nail salon owner will need to think about buildings cover if they own the premises, for example, while a freelance hairdresser will simply need to be concerned with their own products and liability issues. This is why heading to the specialists in this type of insurance is essential, as it’s only by getting tailored and comprehensive cover from the experts that you can be confident your business is properly protected, we have lots of specialists under one roof. Research is of course an essential step in the process, but it’s just as important to compare the options to ensure you’re getting the right level of cover at the right price. Getting a bespoke policy will ensure you’re totally prepared for anything that could happen, so never underestimate the importance of beauty salon insurance and you can enjoy your career whilst being confident that your finances are secured.